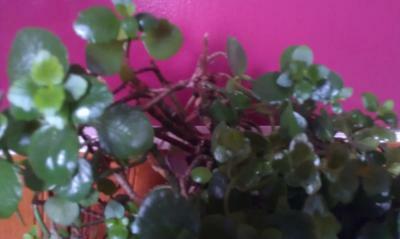 I have had this plant that's clearly a succulent for years. I just recently lost it due to a pest problem and really would like to find another. 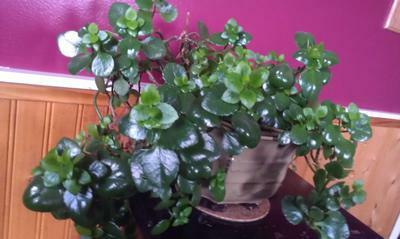 It has shiny green leaves that are slightly plump with a stem like a jade. Hi Jessica, that definitely is Kalanchoe blossfeldiana, it's just that it needs full sun or much brighter light than what it got here. The stems generally will grow upright, as this is not a hanging plant. You can see more about them here; Kalanchoe species or on Dave's Garden Website - keep in mind that there are many slightly different varieties and it's almost impossible to tell which exact one you had. You will be able to find lots to choose from in many garden centers, supermarkets or florists. 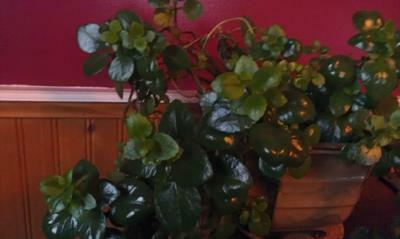 Comments for Beautiful plant needs name! Hi Jessica, Not sure you'll see this so long after the fact. Sorry to hear you lost this plant. I recall a long discussion on the GardenWeb C&S forum back in April. 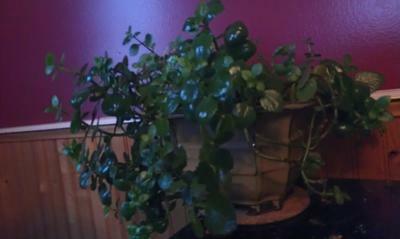 Glad to see you thought your plant was a Kalanchoe blossfeldiana. I still think that was it.